It may be time to finally give up on holding onto any hope whatsoever that The Crow remake is ever going to happen. Recently, both director Corin Hardy and Jason Momoa bailed on the project, which was getting very near production. This is the latest in a long series of setbacks for the movie, which just can't seem to catch a real break, despite a lot of people giving it a go over the years. Now, Sony has officially pulled The Crow from their release schedule, which may well be the final nail in the coffin, at least for a while. The remake has been in the works for the better part of a decade, with the movie transferring to several different studios during that time period. There was some renewed hope when Sony stepped up in September 2017 to revive the project, with Jason Momoa attached to star. Unfortunately, the studio recently updated their release calendar and The Crow is nowhere to be found. 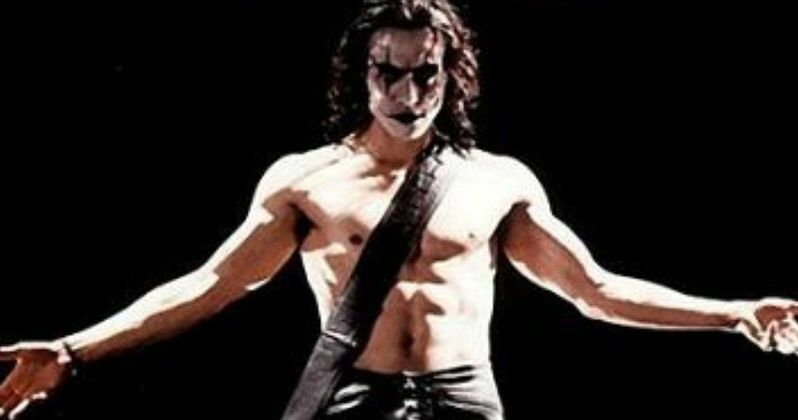 So, until another filmmaker steps up and another star decides to give a try at bringing Eric Draven back to the big screen, it's time to say RIP to this particular reboot and pour one out for what could have been. Corin Hardy, who directed The Nun, the latest spin-off set within The Conjuring universe, was attached to the remake at two different times during its development. It says a lot that the movie that he is most well known for at this point in his career is one that never actually got made. As for Jason Momoa, he's just one of many actors, such as Jack Huston, Luke Evans and Bradley Cooper, who have been attached to the role made famous by the late Brandon Lee. The duo of Hardy and Momoa bailed at the end of May and they were apologetic to fans about their departure. However, creative differences once again locked this thing up in the abyss of development hell. To make matters worse, Corin Hardy released a photo of the Aquaman star in makeup for the movie and it looked pretty fantastic. Unfortunately, it just wasn't meant to be. Perhaps it was fate that Alex Proyas, who directed the first adaptation of The Crow, explained, rather passionately, last year that he wanted the remake shut down. This thing is straight-up cursed. This is not to say that Sony won't ever revive the project. In fact, there's a decent chance that, down the road, they'll get bored, want another franchise and hire someone else to take a stab at it. Does that mean it's going to actually get made? Therein lies the problem. At this point, it seems like no force on Heaven or Earth can actually combine to get this thing in front of cameras. Not to be purely pessimistic here, but even if Sony puts this thing back in development, don't waste too much time hoping that it's actually going to wind up in a theater near you.